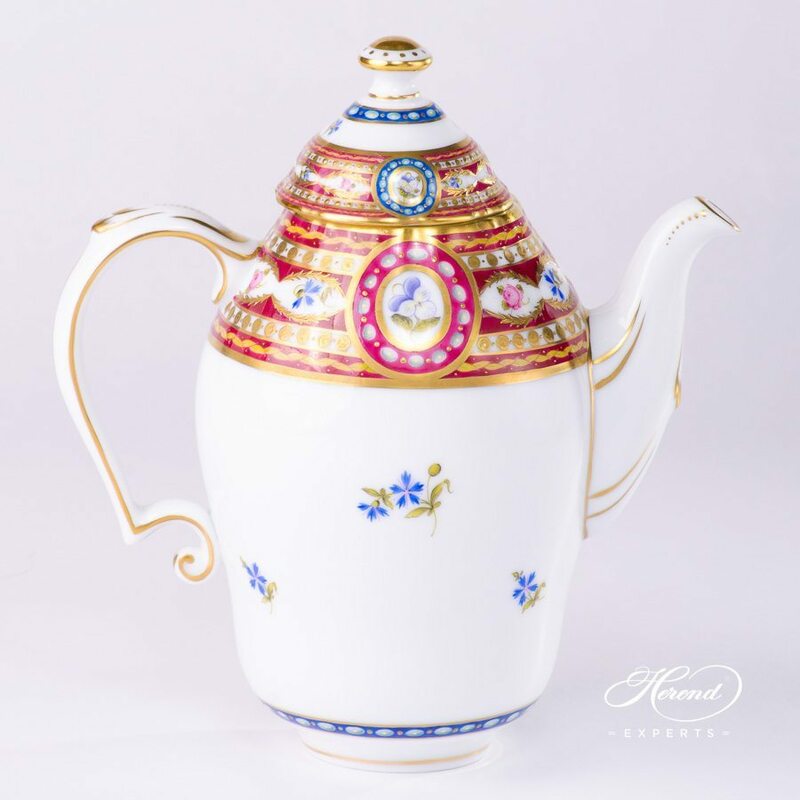 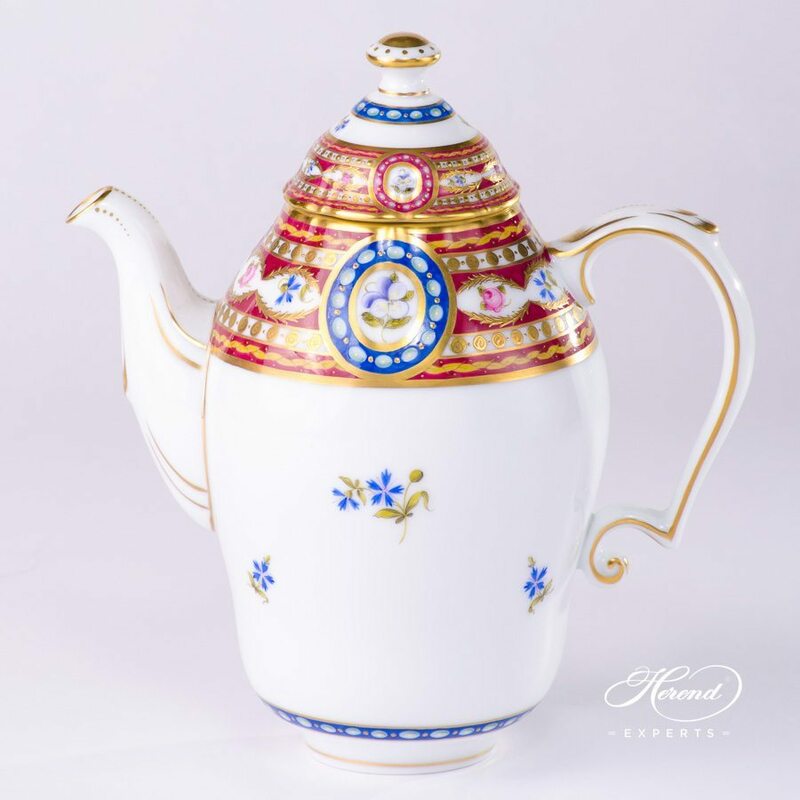 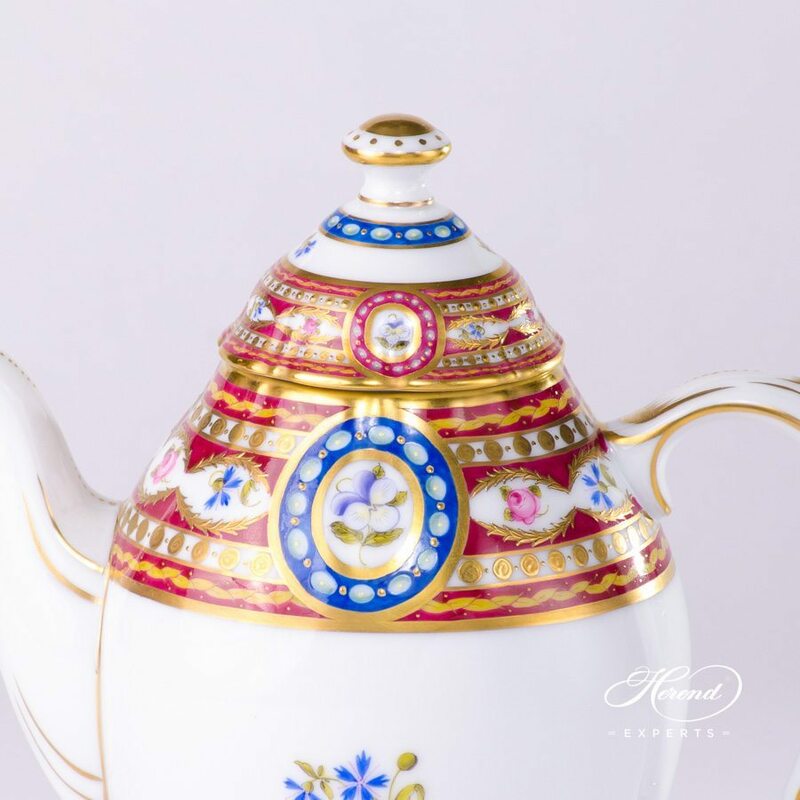 Herend porcelain Coffee (Mocha) Pot with Button Knob – Herend Silk Brocade decor. 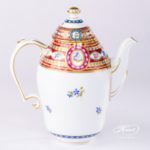 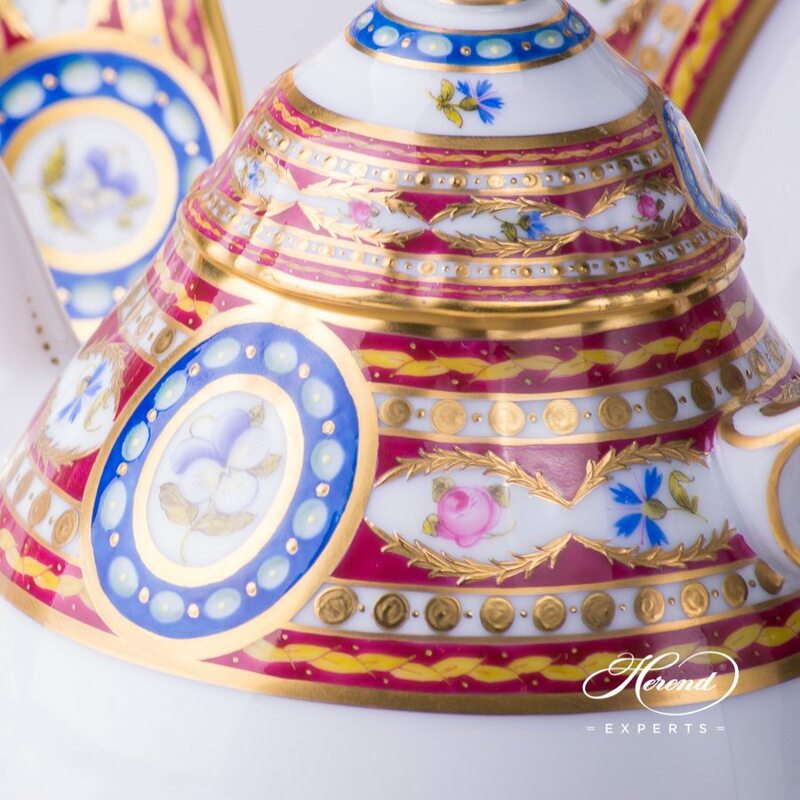 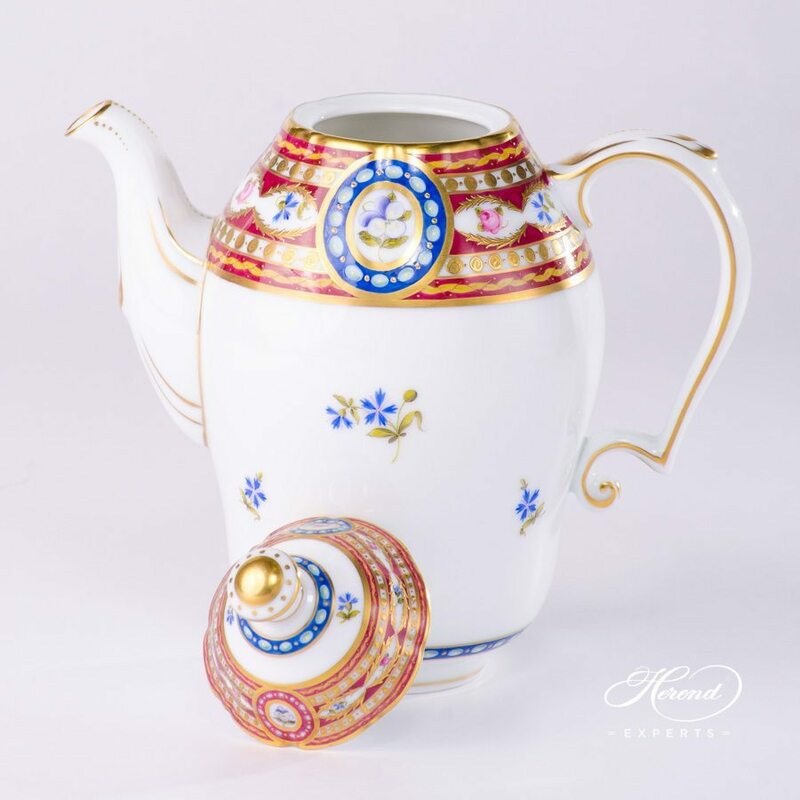 Coffee Pot painted with Eglantine – Variete Wild Roses pattern. 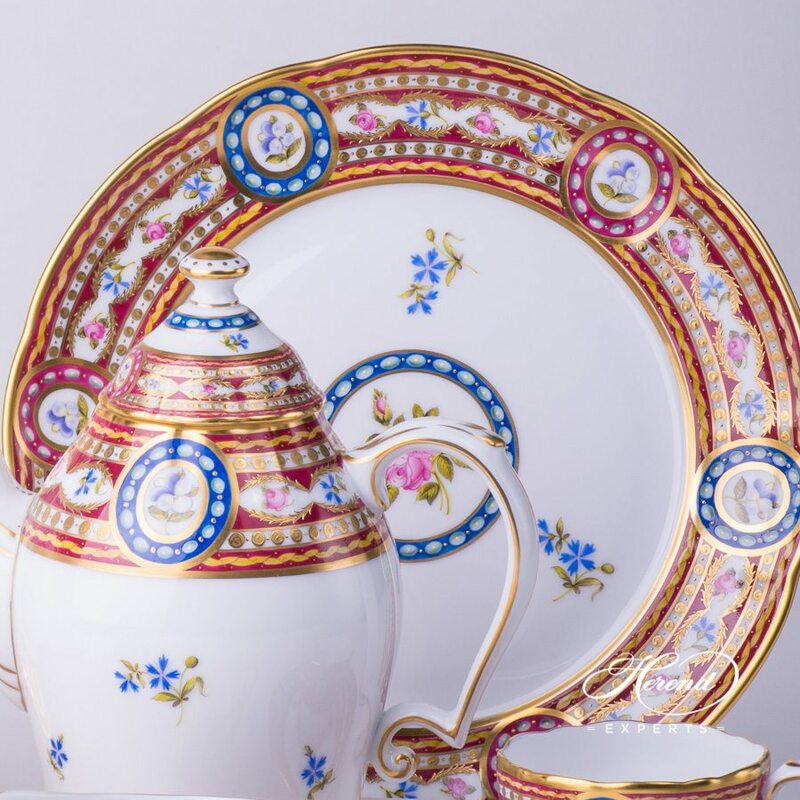 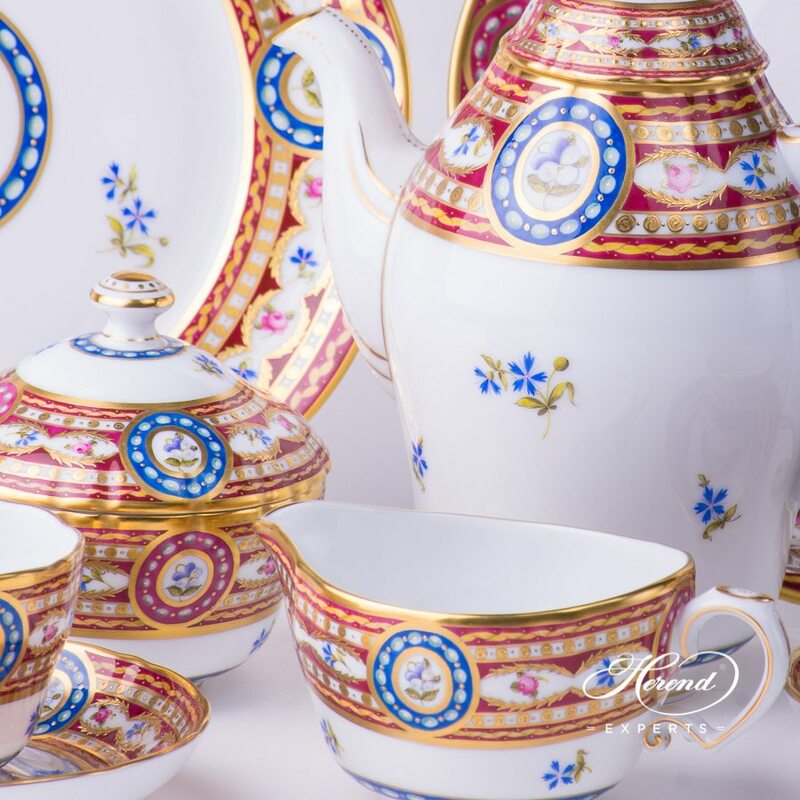 This pattern is gilded richly with relief 24 k. Gold. 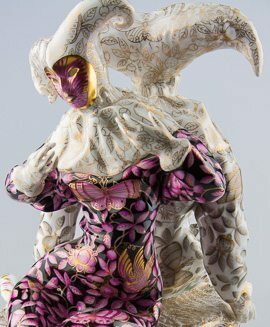 Silk Brocade-EGAVT is painted only by Master Painters!